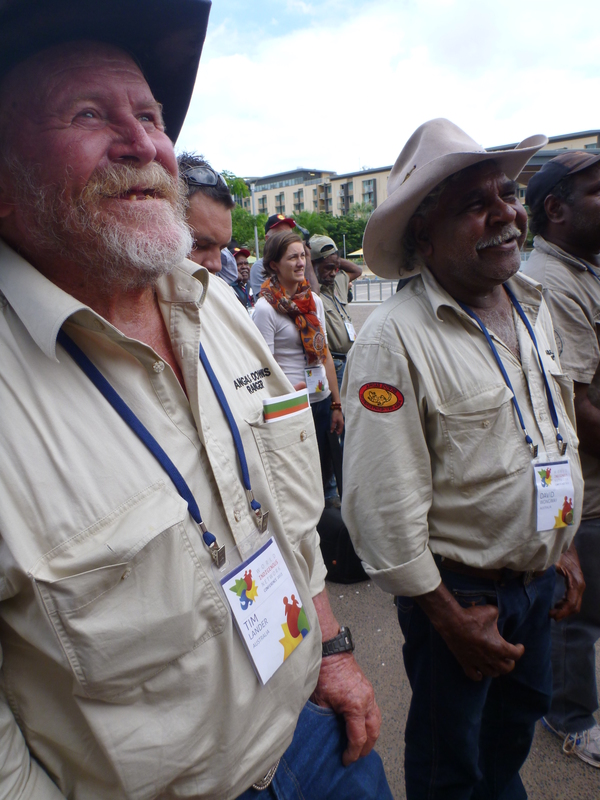 AWS attended the World Indigenous Network (WIN) conference in Darwin in 26th-30th May 2013 to represent Angas Downs Indigenous Protected Area, Northern Territory with Senior Ranger David Wongway and IPA Manager Tim Lander. The WIN Conference Program has a comprehensive agenda on land and sea management issues towards building an enduring World Indigenous Network. The World Indigenous Network Conference Program will cover five themes with a range of topics that are relevant and engaging to Indigenous and Local Community land and sea managers from around the world. An article was written in the Sydney Morning Herald about the conference. Senior David Ranger made it into the newspaper (see his photo here).